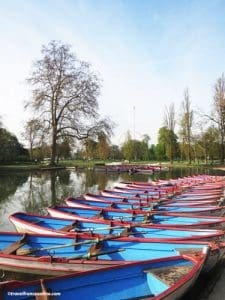 The Bois de Vincennes is the largest public park in Paris and was classified among the Sites Naturels Pittoresques (scenic natural sites) in 1960. It is slightly out-centered, but easily accessible by Metro. It was entirely re-landscaped after WWII; half is forest, the other half lawns and lakes. The section to the east of the Château de Vincennes is under the control of the army and is not open to the public. The ancient Forêt de Vincennes, formerly known as Vilcena, once spread to the east of Paris. Renowned for its game, it was a royal hunting ground from the 5th century to the French Revolution. In the early 13th century, King Philippe-Auguste enclosed it within a 12km long perimeter wall pierced with six gates. Louis XIV commissioned the landscaping of a section of the forest and opened it to the public during the 17th century. A pyramid was then erected in order to commemorate the replanting that took place. However, the Sun-King lost interest in the Bois de Vincennes when he moved to Versailles. So did the courtiers and the public! The forest became national property at the Revolution and was converted in a military training ground. The Fort de Vincennes was integrated to the Military Defence Wall Thiers built in the 1840's. As a result, some 150 hectares of forest were converted in a military training ground with firing ranges, an ammunition, redoubts and the headquarters of the medical services of the French Army. The military compound is not open to the public, except for a disused ammunition factory converted into a theatre, La Cartoucherie de Vincennes, which has housed the Théâtre du Soleil since 1964. The rest of the Bois de Vincennes was integrated to Paris during the territorial reform of 1860. Baron Haussmann commissioned Alphand with the landscaping of the public park. The landscape architect created lakes nestled extensive lawns, flowerbeds and groves and many alleys and meandering paths. 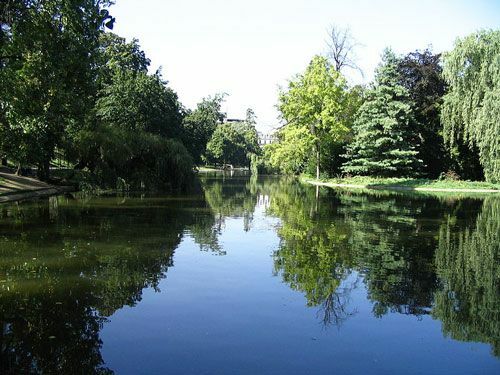 The Bois de Vincennes was the venue for the Olympic Summer Games in 1900 and the Colonial Exhibitions of 1907 and 1931. Three of the four lakes are man made. Sloppy lawns planted with flowerbeds and shrubs surround the 12ha Lac Daumesnil. 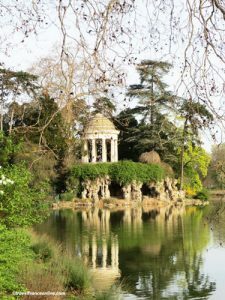 The Ile de Reuilly, the lake’s largest island, boasts an elegant building, the Temple of Love, built above a man-made grotto. The island’s second structure is a Swiss chalet built for the Universal Exhibition of 1867. The 6ha man-made Lac des Minimes was named after a monastery founded during the 16th century by St. Francois de Paul and demolished at the Revolution. It has three islands; two have been left wild; the third houses the Chalet de la Porte Jaune restaurant. The Lac de Saint-Mandé is a 1,5ha natural lake is in the northwest section of the park; its single island is not accessible. The 1ha Lac de Gravelle is the smallest lake; located on the Plateau de Gravelle, it supplies water to the park’s other lakes and ponds via a network of artificial streams. Alphand built also a racecourse; the Hippodrome de Vincennes is essentially devoted to trot racing and harness racing and has a capacity of 35,000 spectators. The Velodrome Jacques Anquetil is also known as Cipale, which is short for Piste Cyclable. Built in 1896, it served as a venue for the Games of 1900 and 1924 and can accommodate 40,000 spectators.. The purpose of the Colonial Exhibition of 1931 was to highlight the different cultures, products and resources found in the French colonies. Each colony had a pavilion, but most were pulled down after the exhibition, except the Cameroon and Togo Pavilions that are now listed Historical Monuments. The pagoda-shaped Cameroon Pavilion was converted in a Buddhist Temple in 1977. 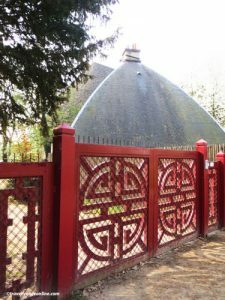 Known as Pagode du Bois de Vincennes, it is now the seat of the International Buddhist Institute and Buddhist Union of France. It shelters the largest Buddha in Europe (9m), a statue entirely covered with gold leaf. The next-door Tibetan Buddhist Centre Kagyu Dzong was unveiled on January 27, 1985. 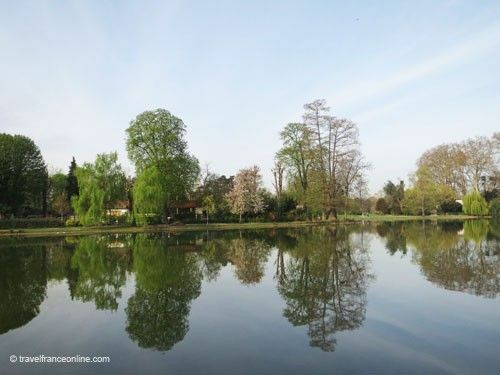 Both centers are enclosed within a 8,000 m² compound located by the Lac Daumesnil. The impressive Art Deco Palais des Colonies was built for the Colonial Exhibition of 1931. Today known as Palais de la Porte Dorée, it is home to the Immigration Museum and the Aquarium Tropical de la Porte Dorée. 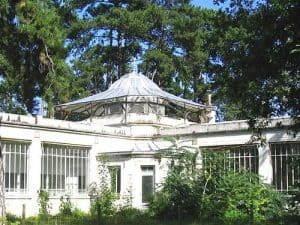 The Zoo du Bois de Vincennes was inaugurated for the Colonial Exhibition of 1931. The 65m man-made Rocher du Zoo de Vincennes that marks the center of the zoo has become its landmark. 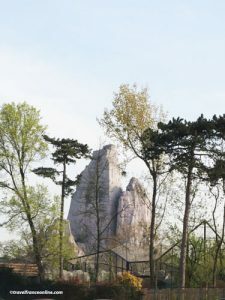 The zoo was modelled on the Tierpark Hagenbeck in Hamburg, where animals live in large pens instead of cages. It specializes also in the breeding of wild species. 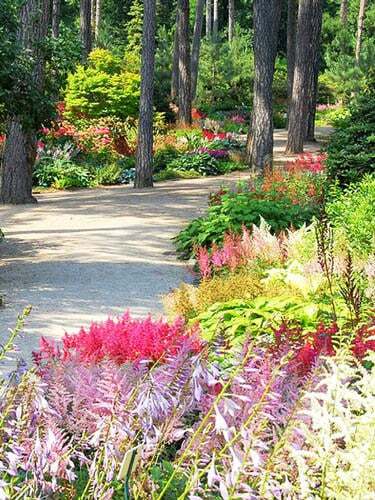 The 31-hectare Parc Floral de Paris was landscaped in 1969 for the Floralies Internationales (flower show). It has been part of the Botanical Garden of the City of Paris since 1998. 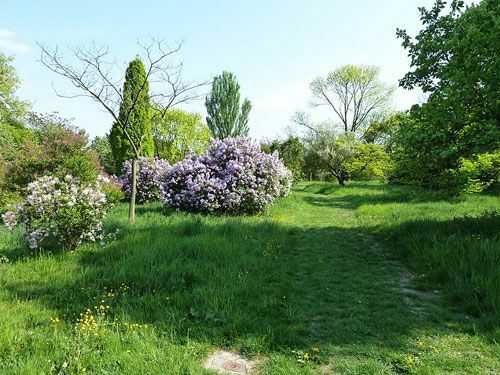 The Arboretum de l’Ecole du Breuil was founded in 1936 in the grounds of the horticulture and arboriculture school founded by Haussmann in 1867. It boasts more than 2000 trees and bushes and extensive collections of lilacs, apple trees and pear trees. The 6ha Jardin de l'Ecole du Breuil is also open to the public. It consists of an English garden, a rose garden, an orchard, lawns and various collections of plants including a rockery. The Jardin Tropical is the former Jardin Experimental Colonial created for the Colonial Exposition of 1907. The garden and pavilions have been under progressive restoration since the early 2000s. Two thirds of its 6.5 hectares are open to the public. 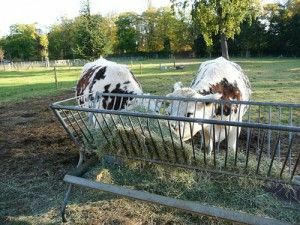 The Ferme Georges-Ville or Ferme de Paris is an educational farm that promotes organic farming. 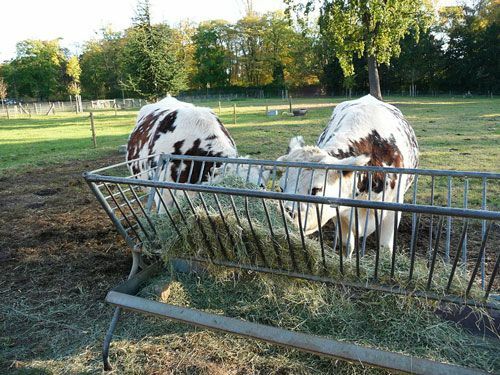 It has many traditional farm animals such as cows and sheep, but also an orchard, a vegetable garden, a processing room and two activity rooms. Finally, the 11ha Pelouse de Reuilly has hosted the Foire du Trône since 1964. This annual funfair that takes place in spring is the biggest event in Europe, as it attracts over 3.5 million visitors per year!